Google is one of today’s most recognisable global brands. As such, it’s almost impossible for anyone not to use it in some form in their daily business activities. Although their search engine captures 3.5billion searches everyday, there’s a lot more to Google than just search. Every marketer will know about Google Ads and Analytics, not to mention Chrome, Maps and Google Drive. But what about the not so well known ones? Have you ever explored Google's "Even More" section? Google has several dozen free tools that can help with everyday marketing and business operations and you may be surprised with how useful they are. 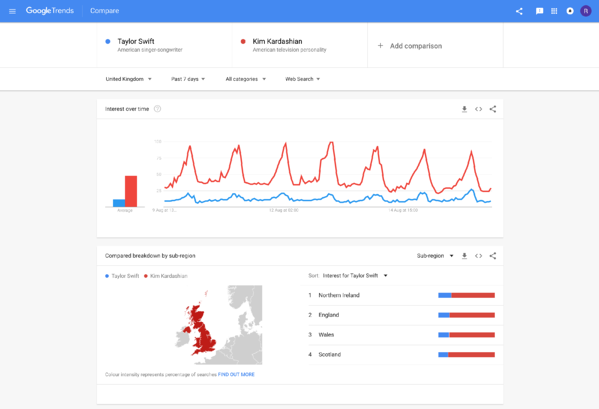 Google Trends is an online search tool that allows you to see how often certain keywords or subjects have been searched over a certain time period. It also highlights trending topics so you can hook people by engaging their interest. It allows you to input multiple keywords and refine results by location, category and search history. It also shows web interest on each keyword, such as the cause of the interest (e.g. press) and the traffic source. Digital Garage is an online learning platform that delivers free skills training, covering all things digital, from websites and tracking to online marketing and beyond. Not your average online learning experience, it combines quizzes, graphics videos, plus more. It could be used by freelancers and small businesses wanting to improve their digital marketing, it could be used by somebody with an interest in social media or by marketing and communications officers within larger corporations. Regardless of your existing skills and expertise in digital marketing, you’ll learn something new with Digital Garage. Google My Business (GMB) is the top local business listing platform online. It’s completely free and lets you manage how your business appears on Google Search and Maps. A GMB account allows you to add crucial business information such as location, contact details, opening hours, website URL, etc. The one account means you simultaneously reach multiple Google Platforms. Google revealed that one third of Google searches has local intent. This means that there are millions of people who look online for a take away, a mechanic, or a hairdresser in their location. 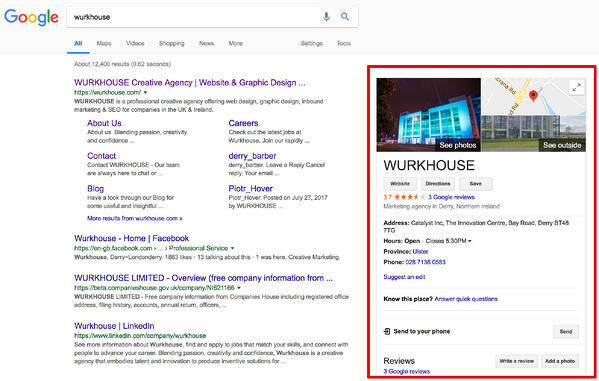 If your company relies on local consumer traffic, this clearly shows the importance of making your business visible in the search results- you need a GMB account. Search Console is a conglomeration of Google SEO tools and reporting. 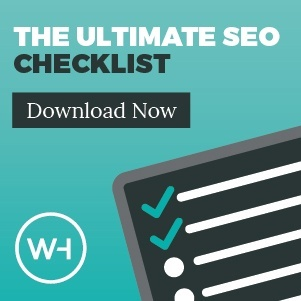 It’s free to use and it helps you monitor and maintain your site's presence in Google Search results. It gives you direct insight from Google as to how the search engine sees your website; you can check indexing status and optimise visibility of your site. The search analytics function shows you the keywords that your site is ranking for, your average position, as well as click-through rates. You don't have to sign up for Search Console for your site to be included in Google's search results, but doing so can help you understand how Google views your site and optimise its performance in search results. Google Alerts is a free service that automatically delivers content to your inbox as it happens. You choose what you want to hear about then Google sends you an email when it appears in a new page on the web. You can receive results weekly, daily or in real time. You can also choose whether you want to track mentions in news, blogs, books, videos, discussions or all of the above. All you need is a Gmail account to get started. 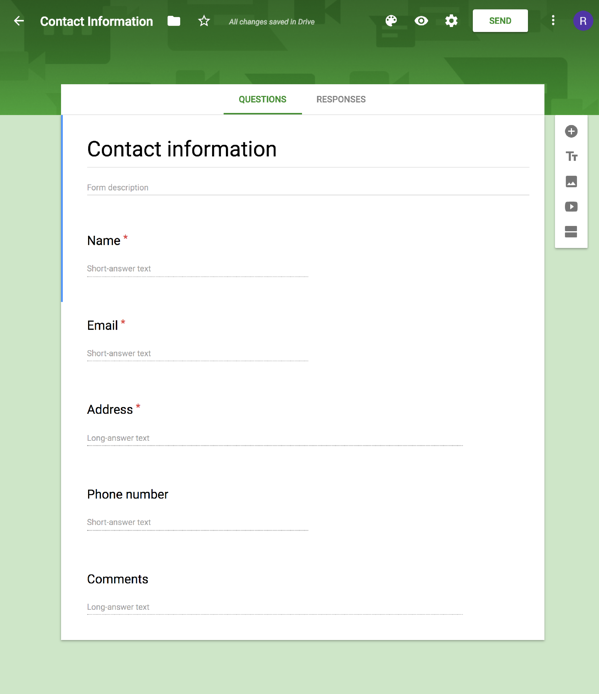 Google Forms is a web based survey app that builds data collection forms. It allows you to create polls, surveys, quizzes, and event registration sheets in your mobile or web browser; no need for specialist software. You can view and analyse results as they come in. You can also easily summarise survey results with charts and graphs. Google’s Keyword Planner is a keyword research tool that allows you to find the right keywords to target for advertising and content. As well as providing metrics for keywords you have input, it also has the ability to suggest new keyword ideas. So if you’re starting from scratch and you’re not sure which keywords you should be focusing on, simply input the URL of your landing page and the tool will produce a list of keyword ideas. The Google Keyword Planner is a free tool found within the Ads platform. It is the most popular and widely used keyword research tool there is. Google’s Public Data Explorer pulls public data and forecasts from a range of sources, including global organisations and academic institutions. If you’re after quality secondary research, look no further. The info can be displayed as line graphs, bar graphs, cross sectional plots or on maps.